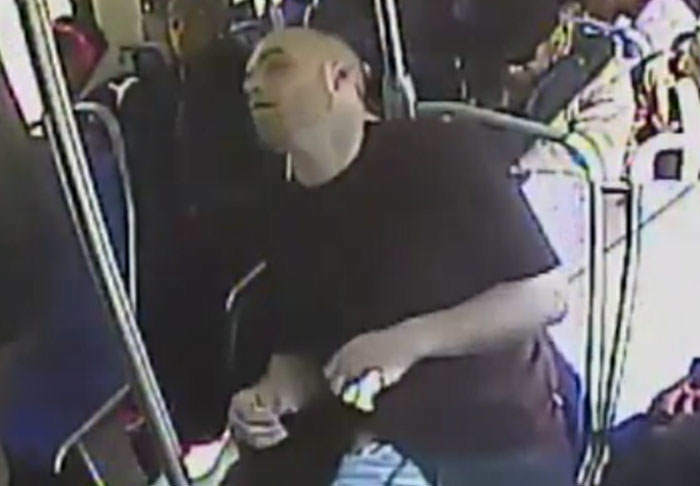 Police in Philadelphia have released surveillance footage of a man overdosing on heroin while on a public bus. The man, identified by The Independent as 25-year-old Michael Meeney, boards the bus before covertly injecting the drug into his right arm. It’s soon clear that all is not well as Meeney loses consciousness and falls to the floor. Thankfully police arrived just in time to deliver a life saving dose of Narcan, a drug which can reverse the effects of an overdose. It’s a great thing that that Narcan saves lives but it doesn’t do anything for the addiction. Normally you see overdoses in a bathroom or vacant building, but this was at 1pm on a public bus. My hope is that he gets the help for the addiction. He’s one of thousands of people out there in our community that are addicted to heroin. It is the biggest problem we deal with. It is hoped that this video will demonstrate the very real danger posed by drug abuse. Meeney was later arrested for possession of heroin.